American Public Works Association honors Minnesota State Mankato’s Latino Engineering & Academic Day. The American Public Works Association (APWA) recently named Minnesota State University, Mankato’s Latino Engineering & Academic Day (LEAD) initiative as the winner of its 2014 Diversity Exemplary Practices Award, which recognizes individuals and organizations that have made outstanding contributions to diversity. It is the first time since the award was first presented in 1997 that it has been awarded to a Minnesota initiative or organization. It will be presented on Monday, Aug. 18 in Toronto, Ontario, in conjunction with the 2014 International Public Works Congress and Exposition at the Metro Toronto Convention Centre. Latino Engineering & Academic Day has been held annually for the last six years on the Minnesota State Mankato campus. Its mission is to increase Latino high school students’ access to higher education through a day of mentoring with engineering professionals, hands-on engineering demonstrations, Latino-specific college preparation workshops and much more. Minnesota State Mankato President Richard Davenport said the award reflected the University’s commitment to diversity. Latino Engineering & Academic Day has served more than 1,200 Latino high school students in six years, including 150 at this year’s event, held April 1. High schools attending the 2014 event included Sleepy Eye, Gibbon-Fairfax-Winthrop, Fairmont, Austin, Albert Lea, Champlin Park and Blaine. Currently there are eight Latino students who participated in the program while in high school who are now enrolled in engineering programs at Minnesota State Mankato. Nadia Crooker, who works as a school liaison/migrant outreach worker for Sleepy Eye Public Schools, said that Latino Engineering & Academic Day has been of tremendous benefit to high school students. Latino Engineering & Academic Day is directed by Minnesota State Mankato’s Division of Institutional Diversity in collaboration with the university’s College of Science, Engineering & Technology, Center for Latino Affairs and Opportunity Access Success Intercultural Services (O.A.S.I.S.) along with the Minnesota Center for Engineering and Manufacturing Excellence (MNCEME) and sponsors Bolton & Menk, Inc. and Hormel Foods. The Latino Engineering & Academic Day initiative was nominated for the 2014 Diversity Exemplary Practices Award by Bolton & Menk, Inc., an engineering and surveying firm that has its corporate office in Mankato. Program/organization nominations for the APWA Diversity Exemplary Practices Award may come from federal, state or local government units, educational institutions, non-profit institutions and private sector organizations. A complete list of previous recipients of the APWA Diversity Exemplary Practices Award is available here. Minnesota State Mankato’s Division of Institutional Diversity and campus partners are planning to expand Latino Engineering & Academic Day in the future to Twin Cities locations in addition to continuing to hold the event at Minnesota State Mankato. On February 3, 2014, over 150 junior high/middle school students representing 19 schools from the Southern Minnesota region gathered in the Centennial Student Union Ballroom to participate in the MATHCOUNTS competition. 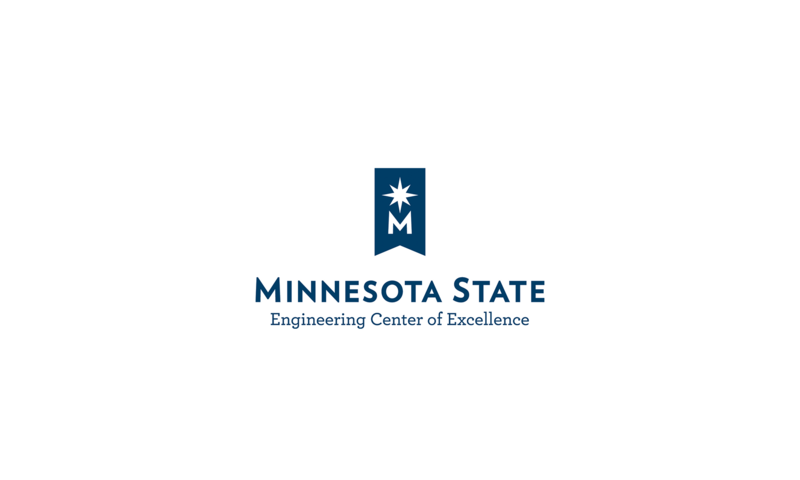 This competition, hosted by the Minnesota Society of Professional Engineers (MSPE) and co-coordinated by the Minnesota Center for Engineering and Manufacturing Excellence (MNCEME), has been reaching out to students and teachers in Minnesota since 1983. While students and faculty at Minnesota State Mankato have been involved in the competition as judges, exam proctors and staff for a number of years, this is only the second year that the competition has been hosted in Mankato. Professional engineers from the community and region work alongside CSET students and faculty and MNCEME to host the competition. The competition is held at regional, state and national levels each year. This year’s regional winners were: 1st place team – Hutchinson Middle School, 2nd place team – Mankato East Junior High, 3rd place team – Dakota Meadows Middle School, and 4th place team – Lake Crystal Wellcome Memorial School. Guest speaker was MSU mathematics instructor, Ashley Priem. On March 7, 2014, over 150 students representing 12 high schools from Minnesota and Iowa gathered at the Centennial Student Union at Minnesota State Mankato to compete in the regional Rube Goldberg Machine Contest. Teams of three or more full-time high school students were formed to build a machine with everyday items in a whimsical way to create a series of chain-reaction steps to accomplish the simple task. The goal is to encourage critical thinking and problem solving in a non-traditional learning environment while having fun in the process. Machines specifications include a minimum of twenty steps and a single run time under two minutes. Students employ engineering and physics along with a bit of humor and story-telling. Each team is led by an advisor. During judging, teams are ensured points for the clear, concise, creative, and charismatic verbal representation of their machines. Teams are also judged on general impressions of their machines, such as how well their theme or story is integrated into the machine, how well the machine completes the task in a manner more complex than necessary, and how well the machine uses recognizable everyday items in a creative, unique, and funny way. Team chemistry is important and easily earns points for teams who communicate and work well together. And, to mimic the Rube Goldberg cartoons, the funnier the machine, the better! The top two teams will advance to the national competition in Pewaukee, Wisconsin, on April 5, 2014. Congratulations to all of the winners! Good luck to Southland High School at Rube Nationals!